The app aims to reduce unnecessary patient wait times, enable them to receive quick and timely specialist advice, and bring efficient healthcare to remote Australians. An Australian-developed app is combining mobile phones with telehealth principles to bring burns sufferers fast, accurate and secure specialist advice from clinicians. Telehealth researchers from CSIRO’s Australian e-Health Research Centre (AEHRC) have collaborated with the Fiona Stanley Hospital, part of the South Metropolitan Health Service in Perth, to develop and pilot thi As recovering from a burn can be a slow process, the Fiona Stanley Hospital runs a Burns Early Discharge Programme for patients to leave hospital and receive ongoing care from home. The MICE app is being trialed as part of this program to let a visiting nurse take photos of the patient’s wounds and send those photos to clinicians and specialists for ongoing monitoring and advice without having to visit hospital. The specialist can then take a closer look at the wound and send back real-time advice on clinical decisions and treatment through the app, enabling the visiting nurse to administer immediate care to the patient. CSIRO Senior Software Engineer Janardhan Vignarajan said that the app aims to reduce unnecessary patient wait times, enable them to receive quick and timely specialist advice, and bring efficient healthcare to remote Australians. 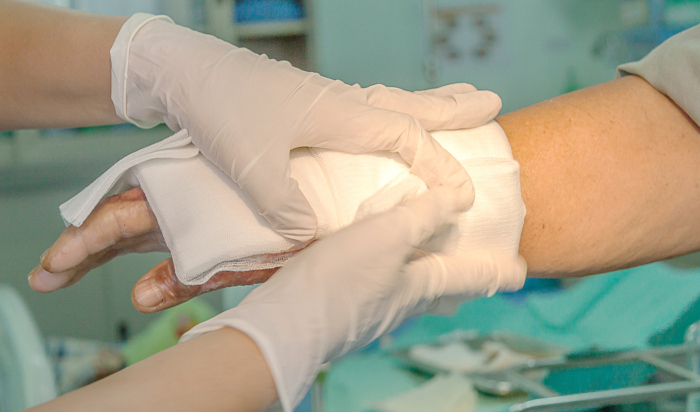 “For people with burn injuries, getting fast and appropriate treatment is critical. But some patients live far from the closest burns specialist. So, digital technology can help bridge the gap in healthcare delivery for people who live far from medical care,” he added. The MICE app also complies with patient confidentiality requirements, only storing treatment advice and images in the hospital’s systems, while automatically deleting a patient’s burn photos from the phone used. “Patient’s images stored in a clinician’s private phone raises lot of issues related to confidentiality. Our MICE app has been developed with patient care in mind, while also alleviating privacy, security and data integrity concerns that come with using mobile phone images,” Vignarajan said. “The image and related diagnostic data needs to be stored and archived for future references but doesn’t need to remain on a mobile device. The MICE app solves this by allowing the records to be stored where they should be – secure within a hospital IT system. “The technology behind the app ‘talks’ to internal hospital systems and protect patient’s images, which is a huge leap towards improving Australian healthcare.” s mobile app – Mobile Image and Communication Exchange, named ‘the MICE app’ for short. CSIRO Australia intends to soon extend the use of the MICE app to patients instead of just clinicians. “At this stage, our focus is to enhance communication between specialists, doctors and healthcare workers by providing the app to these health professionals. But we are working on ways to deliver this technology to patients themselves,” Vignarajan said. Vignarajan also mentioned that there’s potential for the app to reach other areas of specialist healthcare, such as wounds or dermatology. “Wounds can be monitored by viewing previous images taken from different time points. This is very important for a proper treatment. By allowing a close look at the image in an easily accessible and secure platform, the treatment can be provided efficiently without delays,” he said. Elsewhere in Australia, a similar app called the ClinMAPS PRO was developed by AusHealth, a private Adelaide company that commercialises medical research in South Australia in November 2018. The digital scar assessment app is based on a photographic standard to assess the healing of scars. A version of this article first appeared on Healthcare IT News Australia.